Whooping cough or pertussis is a bacterial disease of the upper respiratory tract that is Whooping Cough Natural Remedy includes ginger, licorice & honeyhighly contagious. You first develop mild cough that turns into coughing fits resembling whooping sounds. Whooping cough is caused by the bacteria Bordetella pertussis. It can affect people of all ages. The disease is contagious meaning it can spread easily through contact with an infected person when he coughs or sneezes. Initial signs are very similar to the common cold such as runny nose, sneezes, mild coughing & mild fever. In about ten to fifteen days the irritating cough develops into uncontrollable coughing spells (ending with a whooping sound) that can last up to a minute. Your ailment can be managed and cured beneficially by availing natural remedies that are safe, easy to procure, effective as well as economic. Take equal parts aloe honey & aloe vera juice. Mix them thoroughly and consume one tablespoon of this liquid just before you get whooping cough. Mix almond oil (five drops) with ten drops fresh white onion & ginger extract. Consume this mixture thrice a day to manage and cure pertussis. Honey is a simple whooping cough natural remedy. To a glass of hot water, add one tablespoon pure honey & drink throughout the day. Licorice has anti-inflammatory properties. Make a powder of five grams licorice root. Consume this powder thrice a day together with honey. Ginger is an effective whooping cough cure. Mix ten milliliters of honey & ginger juice (equal parts). 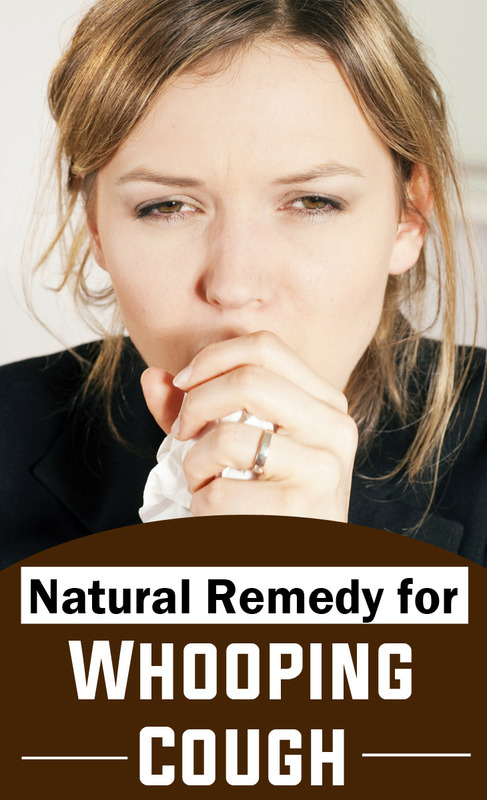 This can provide good relief for symptom of whooping cough. Take this preparation twice daily. For adults a pinch roasted calamus powder together with a teaspoon of honey can provide soothing relief. It has antispasmodic properties that help prevent severe bouts of coughing. Consuming a preparation of castor oil by mixing with cow’s milk helps to a good extent during treatments for whooping cough. A preparation of syrup made by combining one tablespoon of fresh, raw onion juice and one tablespoon pure honey can prove to be beneficial for treating your whooping cough. Consume this syrup one teaspoon every day. It is important to get information on causes of whooping cough as it can help in treating the condition effectively.